Lochte Feed & General Store is happy to offer Cowboy Cutlery Knives including a various selection of knives from Cattleman Cutlery. These lines of knives is designed for the working farmer or cowboy. They are made from durable, sturdy materials; and to be used every day. These knives are stylish and unique for your customers while offering a great value. We offer these products in both clam and boxed. 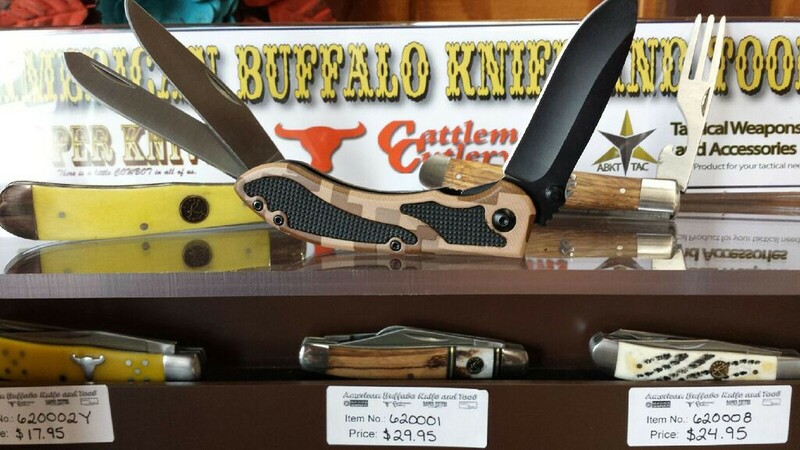 Lochte Feed and General Store in Fredericksburg, TX has a great selection of pocket knives, hunting knives and cutlery knives. These make the perfect gift or a great addition to your own collection. Stop by today! This entry was posted on Friday, June 10th, 2016 at 4:52 pm	and is filed under News & Updates. You can follow any responses to this entry through the RSS 2.0 feed. Both comments and pings are currently closed.